I love Halloween. I am just going to lead with that statement, as you've probably already picked up on here and various other social touch points along the way. 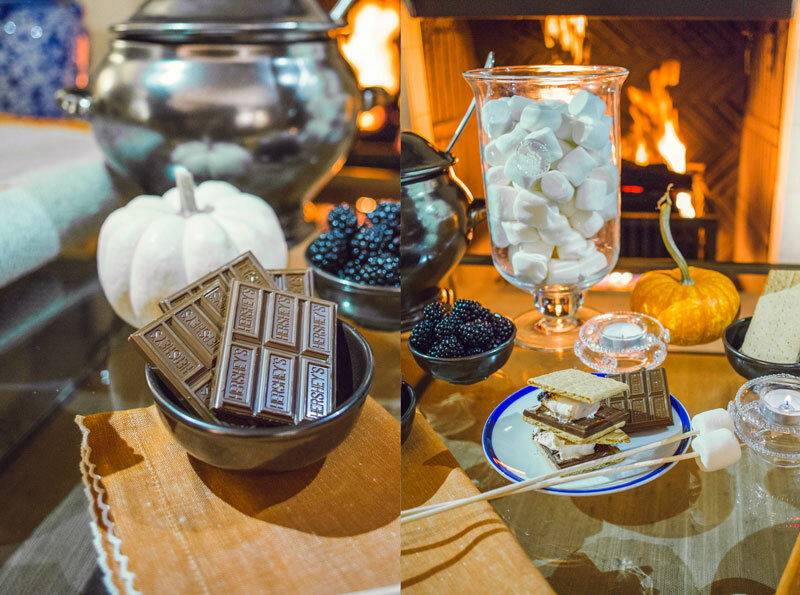 For today, Friday, the day we anticipate all week long, I thought it'd be a poignant time to share my 3 Step Process on how to Host a VERY Happy Halloween Party. In a large pitcher filled with ice combine all of the ingredients. Stir gently to combine. 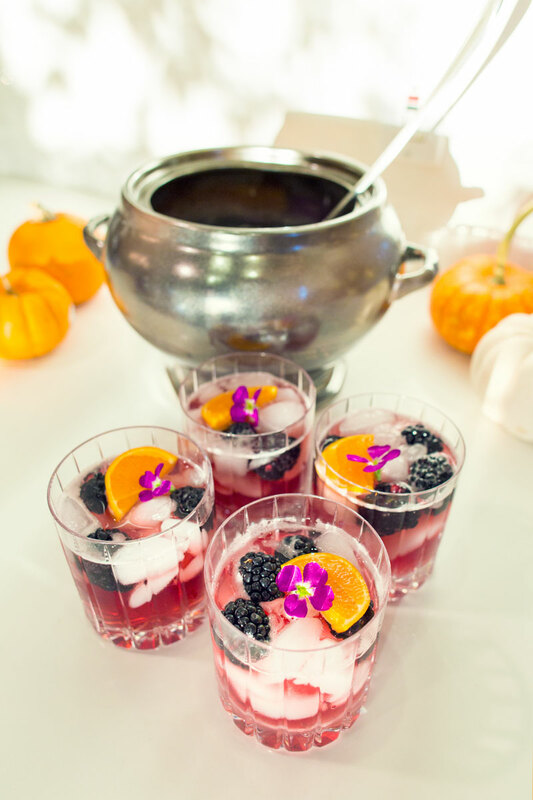 Add several blackberries and an orange slice to each glass and pour the punch into the glasses. 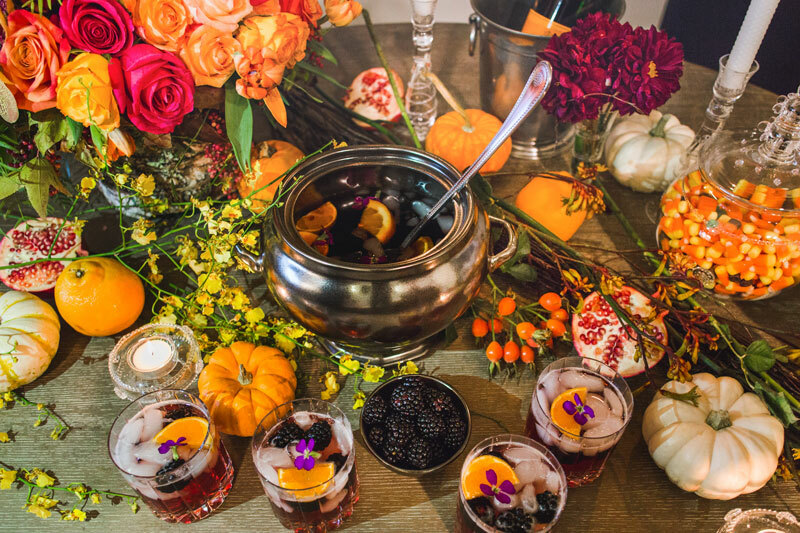 Garnish with a pansy if desired and serve immediately. 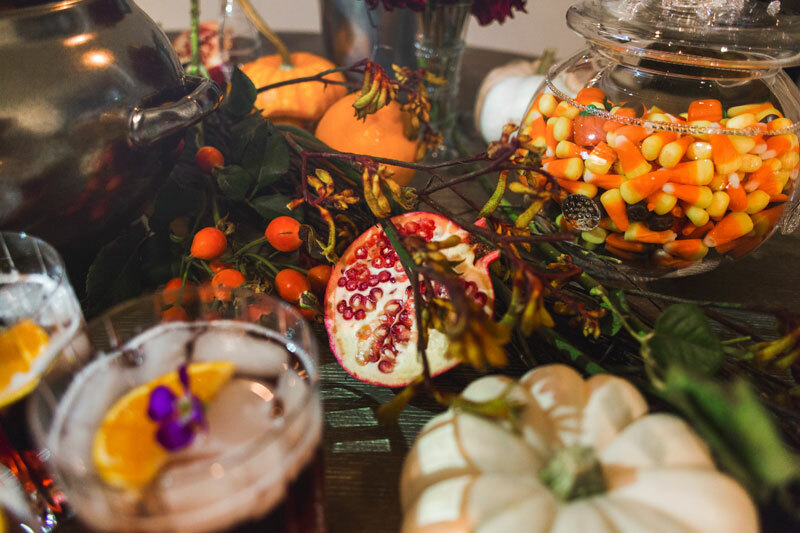 Serve in a classic old fashioned glass. 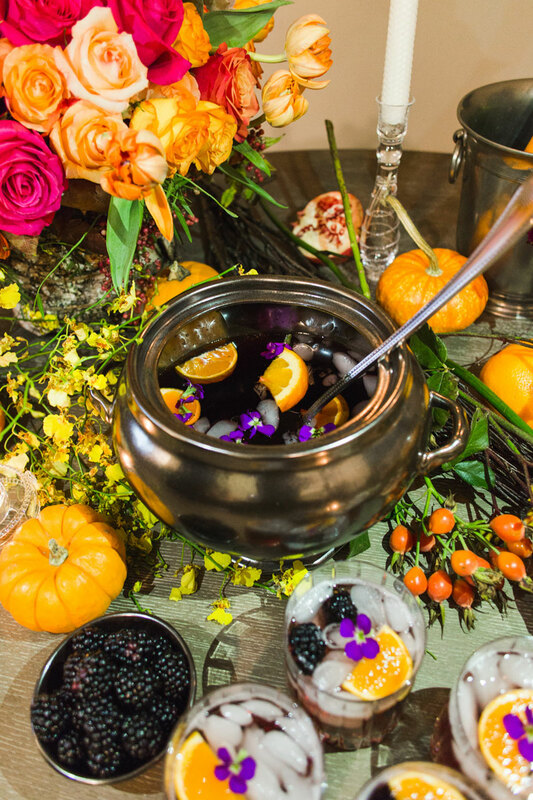 It's no secret that I love loVE LOVE Juliska table and glassware, so it's no surprise that they had the perfect "cauldron bowl" for my Halloween table. It's actually a stunning Pewter Soup Tureen that I was given from Juliska to utilize in this post. Bouquet of Flowers in Autumn Inspired colors like these from the Empty Vase, our favorite neighborhood florist. 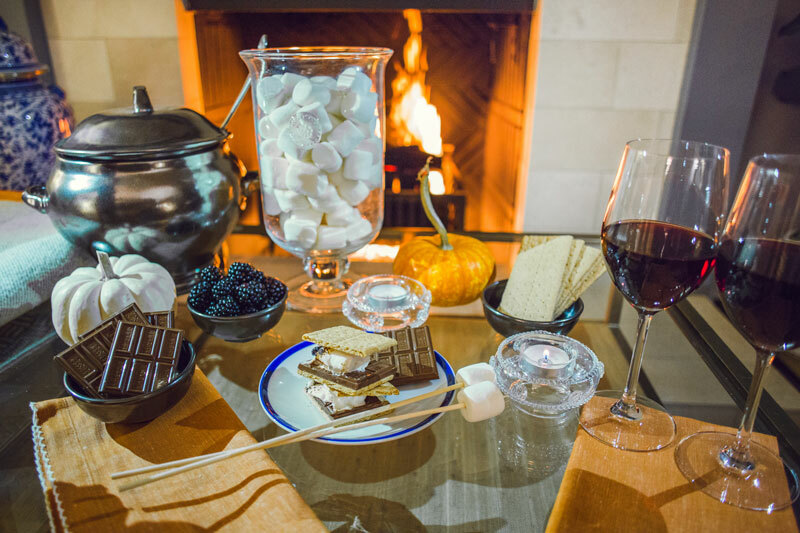 Feel up a variety of decorative vessels like the Harriet Covered Urn with candy corns, then pair it with honeycomb candles in stunning candle sticks holders. It creates a photo moment of it's own! Mini pumpkins and additional fruits, I particular love an opened pomegranate on display, as there's something very organic about it.